Dentist Digest Monthly: When Is The Best Time of Day To Brush Your Teeth? We all know the basics of brushing. You should do it in the morning and evening to remove plaque and food particles, stave off bad breath and ward off problems like tartar and tooth decay. And yet, some questions that remain. Should you brush your teeth before or after breakfast? And are those hygiene enthusiasts we all know—the ones who carry a toothbrush and use it right after every meal and snack—doing themselves a favor? At Bridge Creek Dental, teeth are our business. With that in mind, here’s our advice on optimal oral hygiene. Our a.m. brushing routine is particularly crucial because plaque—a film rife with bacteria—builds up more quickly at night due to the fact we produce less saliva while sleeping. Many people brush their teeth after breakfast because they figure it’s a one-two punch. You can remove the plaque and ensure no trapped food particles from breakfast remain in your mouth. There are, however, a number of arguments for brushing your teeth before breakfast, with post-pancake adherents including experts like the Mayo Clinic and the National Health Service. When plaque combines with sugar, it forms an acid that attacks the enamel of your teeth. Brushing before eating minimizes this corrosive chemical reaction. Further, if you use fluoride toothpaste it creates an added layer of pre-meal protection. Brushing your teeth after breakfast may actually be detrimental. Many breakfasts are chock full of acid, sugar and carbs, which, when digested, become sugars. Think foods like sugary cereal and toast and acid-heavy beverages like orange juice and coffee. Sugars and acid alter the pH level in your mouth, weakening the tooth enamel. If you brush straight away after eating, you run the risk of scraping off this softened enamel. This, in turn, allows acid to penetrate deeper into your teeth. In fact, brushing immediately after any meal can compromise your tooth enamel. This is especially true if you’ve consumed something acidic like citrus fruit or a dish containing tomato sauce, which is heavy in both acid and sugar. It’s recommended you wait between 30 minutes and an hour after eating before brushing. This lets the pH level in your mouth normalize and your enamel be restored enough to handle brushing. If you want to make sure there are no food particles on your teeth and your mouth feels fresh after eating, you can swish water around in your mouth, rinse with an antimicrobial mouthwash or take the opportunity to floss. If people are going to skip one of the two recommended daily brushing, they generally omit their evening brushing. A late night out or tough day can make it tempting to stumble into bed without your usual p.m. oral hygiene routine. This, however, should be a rare occurrence. Think of it this way: your teeth have had a hard day, too! During the day, plaque builds up on our teeth and so do tiny bits of food accumulated during meals and snacks. If you hit the sack without brushing your teeth, this dental detritus causes bacteria that can weaken your tooth enamel. Further, the food can decay, causing bad breath. Our dentists, the best in Billings, Montana, may also recommend further preventative care, like fluoride treatments or dental sealants. At Bridge Creek Dental, we work with you to ensure your teeth are well cared for, remaining in service and looking good when you smile. Contact us today to make an appointment. Dentists can generally repair a cavity with a simple filling, but sometimes the decay becomes more advanced, breaching the tooth’s enamel. If the pulp of your tooth—which contains blood vessels, connective tissues and nerve endings—becomes infected, your dentist may recommend a root canal to save your tooth and ward off nerve damage. During a root canal, the infected pulp is removed and the inner chamber of your tooth is cleaned. The chamber is then filled and the tooth topped with a crown. Only your dentist can determine whether you need a root canal, but there are some signs that can serve as red flags. By the time you need a root canal, your tooth’s pulp is severely inflamed. You may experience spontaneous waves of pain with no apparent cause. 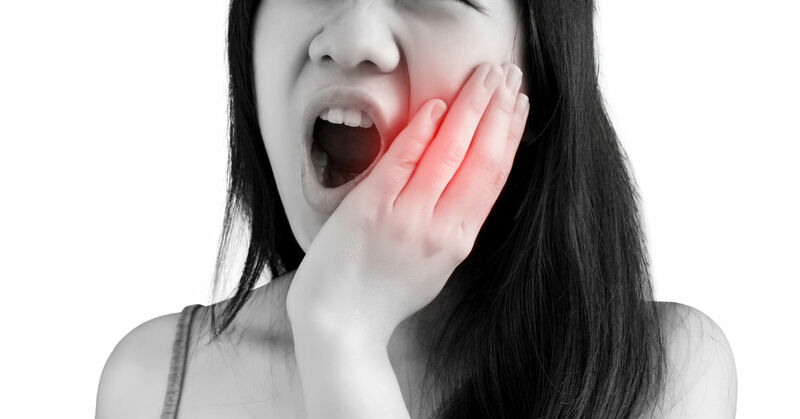 Other times, pain may be triggered by activities like chewing or touching the offending tooth. You may have trouble sleeping and find little relief from over-the-counter medication. Can easily identify which tooth hurts. Experience pain while brushing and flossing. Experience positional pain, with the ache increasing when you lie down, stand up suddenly or jog in place. You may need a root canal if a sudden change in temperature prompts a sharp pain in the gums near your problem tooth. If you experience pain after being exposed to heat, like taking a sip of coffee, it’s may be a sign that there is some nerve damage. 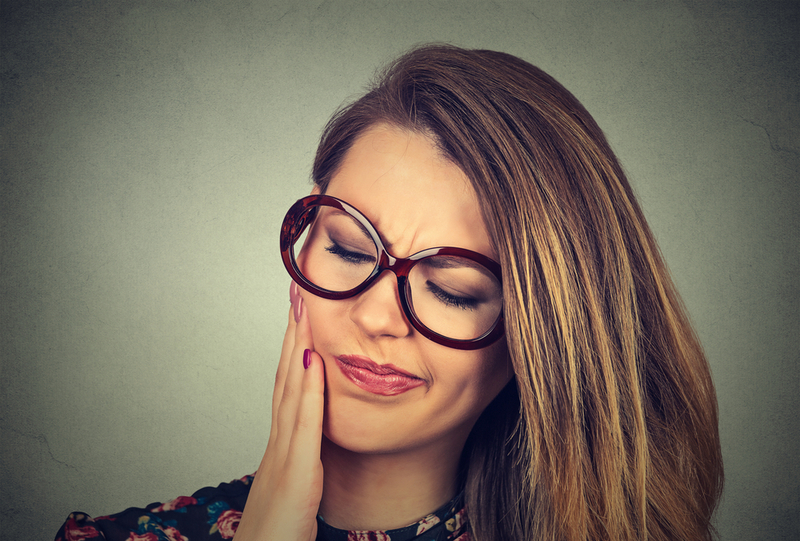 If cold food or drink causes lingering pain, even radiating upwards to give you a headache, you also likely have an infection that has breached the pulp of your teeth. If you have swelling and discomfort in your gums, it may be a sign your tooth infection has spread to your gums. Tenderness and swelling in your cheeks indicate the infection has spread to your face, while soreness, swelling and drainage in the lymph nodes under your jaw or in your neck indicate the tooth infection has spread to your jaw. When your dental pulp becomes infected, your immune system springs into action, sending white blood cells to kill the bacteria. In the ensuing battle, pus—made from white blood cells, dead tissue and bacteria—attempts to drain through the roots of your teeth into your jaw. You should never ignore an abscessed tooth because the infection can enter your bloodstream, which can be life-threatening. Your dentist may recommend a course of antibiotics as well as a root canal. Tooth discoloration, with the teeth taking on a gray or black appearance, is just one more indication that an infection inside your tooth has spurred internal tissue breakdown. If you suspect you need a root canal or want preventative care to ward off tooth infections, contact us today to schedule an examination. How Long Should My Teeth Hurt After A Filling? After you receive a dental filling from one of our dentists, you can feel confident that our dentists have addressed the tooth decay and you are well on your way to recovery. However, directly after you have received the filling, there may be a certain amount of residual pain. If you do experience pain after you have had a dental filling, you don’t need to worry. This discomfort is a common occurrence and generally does not signal that anything is wrong with the filling our dentists placed. For most people, any dental pain from their filling goes away over the course of a few days up to a couple of weeks. If you have any concerns, you are welcome to make another appointment with our dentists at Castle Rock Dental. There can be several potential causes that have triggered you to feel pain around your dental filling. Altered bite – A filling can change how you bite down. Often, the difference will be quickly forgotten, but if you find it uncomfortable, you can come in and have one of our dentists shape your filling. Referred pain – The nerves in your teeth are all tightly interwoven, and while your tooth with the filling may not feel pain, your surrounding teeth may experience pain. This discomfort should go away with time. Pulpitis – The process of removing tooth decay can cause the pulp of your tooth to become inflamed and potentially infected if not all the decayed tooth tissue is removed before the filling is placed. Sometimes, all you need is time for this issue to go away. If you notice your gum swelling, it is best to come into our dental clinic to ensure you don’t need a root canal. Varying material – If you have varying dental materials in your mouth such as a gold crown and a silver filling, you may experience an uncomfortable sensation when these materials make contact. Allergic reaction – While rare, some people experience allergic reactions to their dental filling. If there is itching or a rash appears, our dentists can redo the filling with a different material. Whether you are looking to have a simple filling placed or cosmetic dentistry performed, you can come to our dentists at Castle Rock Dental in Billings, MT. For an appointment with our excellent dentists, contact us today. Even those of us who brush and floss regularly can develop tooth discoloration that detracts from the quality of our smile. Regular visits to the dentist for cleaning can help keep your teeth free of plaque and tartar build-up and give your dental hygienist a chance to spot issues like gingivitis or oral cancer. The most thorough scraping and polishing, however, isn’t enough to brighten severely yellowed or stained teeth. For that kind of smile transformation, you need teeth whitening, just one of the many cosmetic dentistry services performed by our dentists at Bridge Creek Dental. There are two main types of tooth discoloration. Depending on what type is affecting your teeth will determine what can be done to lighten them. A good professional polish may be enough to remove this type of stain. Intrinsic discoloration occurs when the inner structure of the tooth, called dentin, becomes yellow or darkens. This type of discoloration can have a host of causes, including genetic factors or exposure to certain medications. The most common reason for intrinsic discoloration, however, is age. Dentin naturally yellows over time. Meanwhile, the enamel covering our teeth thins out as we get older, causing the dentin to show through. If you have intrinsic discoloration or the stains on the outside of your teeth are particularly stubborn, you’re a good candidate for teeth whitening. When people become self-conscious about the color of their teeth, their first impulse is often to see what’s on hand at their local drugstore or in the toothpaste aisle at the grocery store. The problem is that over-the-counter teeth whitening kits often include abrasive substances that can damage your tooth enamel. You can experience gum soreness if you leave whitening strips or gels on longer than suggested. And over-whitening can make your teeth look discolored or translucent, certainly not the effect you’re aiming for! Teeth whitening performed by professionals like the dentists at Bridge Creek Dental is far safer. For one thing, it’s a relatively simple process. 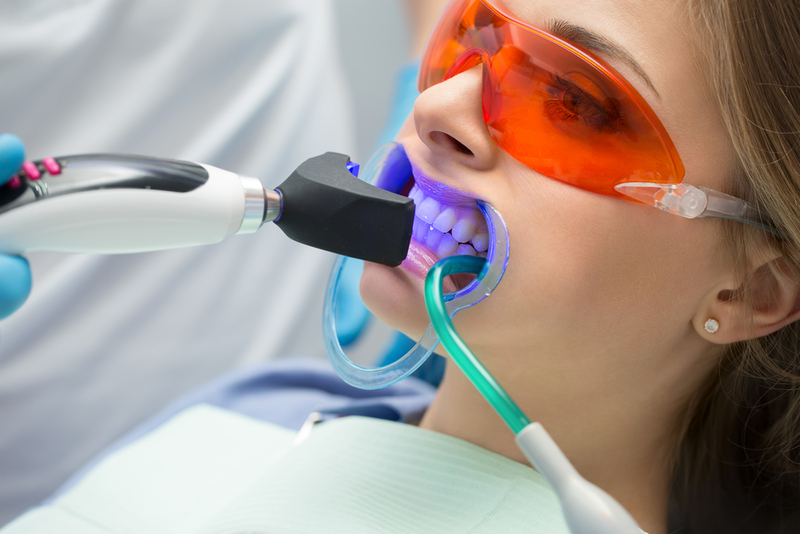 One of our dentists applies a bleaching substance to your teeth, which is then activated by a special light. The procedure is carefully monitored throughout by our doctors, who understand how to protect your teeth and the state of your enamel. The teeth whitening gel used by our dentists is far stronger than any you can buy yourself, making in-office whitening significantly more effective than do-it-yourself options. In fact, our patients commonly find their teeth are a minimum of three shades lighter after a single treatment. If you’d like to learn more about teeth whitening procedures or any other dental service, contact Bridge Creek Dental at (406) 652-1600 for a consultation. We look forward to serving you! Dentist Digest Monthly: How Long Do Dental Implants Last? There is conflicting information on how long dental implants last. Some sources say 10-15 years, while others say a lifetime. Our dentists here at Bridge Creek Dental wanted to set the record straight and clarify how your dental implant can potentially last 10-15 years and a lifetime at the same time! As a single dental implant is made up of three different parts, the crown, abutment, and implant post. These three parts can have varying lifespans, depending on the care given to your overall oral hygiene. Crown – The crown of your dental implant will typically last around 10-15 years. This lifespan is average for a crown used in other dental procedures such as root canals and bridges. Depending on how much wear and tear your teeth undergo and your attention to your oral hygiene, the crown can outlive its 10- to 15-year average lifespan. Abutment – As the crown usually encases the abutment, its lifespan is generally dependent on the crown’s lifespan, making the abutment’s lifespan about 10-15 years. However, if it becomes exposed by receding gums, it can become damaged sooner and cause you to need both a new crown and abutment. Implant post – With its fusion with the jawbone, the titanium implant post is the most durable part of your implant. With proper care, your implant post can last your entire life! Periodontal disease – As periodontal disease is a serious gum disease, it is not surprising that it can cause your mouth to reject the implant as the disease progresses. 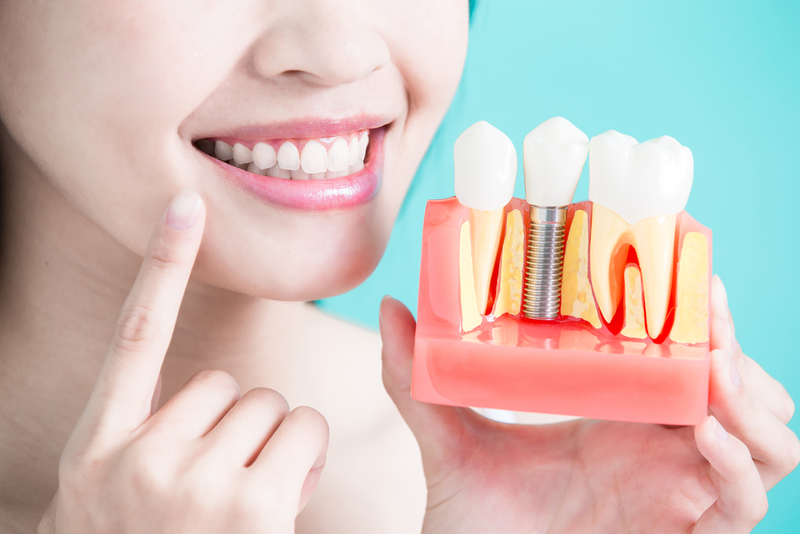 Peri-implantitis – Unlike periodontal disease, which affects all of your gums, peri-implantitis is when just the bone and gums around your dental implant become inflamed due to overly hard biting forces or localized bacterial infection. Left untreated, it can cause the implant to fail. Diabetes – Patients who have diabetes have a higher risk of gum infection. Any gum infection can increase the risk of dental implant failure and other complications, such as gum recession, which can expose the implant. Facial trauma – Your dental implant crown can be shattered by facial trauma, or the whole implant can be knocked out with severe facial trauma. Bone grafting would likely need to take place before another dental implant could be placed if you lost your original one to facial trauma. Poor oral hygiene – Dental implants will look and act just as your natural teeth do, and they will need the same careful care. Do be careful flossing around them, as floss can potentially become trapped between where the crown and implant meet. If you are interested in receiving dental implants and you live in Billings, Montana, or the surrounding towns, contact us for an appointment. One of our dentists will consult with you, and if you choose to go forward with your dental implant after the consultation, we will be happy to help you achieve your perfect smile. What is a cosmetic gum lift? Many people worry about the appearance of their teeth, but some people’s mouth concerns rest elsewhere: their gums. We’ve all seen a “gummy smile,” one where flashing those pearly whites means displaying quite a bit of pink tissue. It’s generally a sign that your teeth are small compared to your gums, as part of your genetic legacy or because of wear and tear. Excessive gums can also result when teeth fail to emerge properly, leaving them partly covered by tissue. There are varying degrees of gum exposure. For slightly gummy smilers like songstress Liz Phair, the peekaboo reveal can be a cute quirk. In more severe cases, all that gum can make for a truly idiosyncratic grin. This condition can be even more problematic if you suffer from other periodontal issues like uneven, inflamed or swollen gums. Luckily, there’s help to be found. Your gum lift may be part of a larger smile makeover, like having your teeth contoured and topped with crowns or veneers. It may also be complicated if you have uneven gums where the tissue is low-hanging in some areas but has receded elsewhere. In this case, your dentist may perform a gingival graft, using tissue from an adjacent area on the gums or from the roof of your mouth. In most cases, however, a cosmetic gum lift is a routine standalone procedure. If you’re a candidate for periodontal surgery, you’ve probably obsessed over your smile for years. You may have even become resigned to the fact that you’ll always have a gummy grin. In truth, however, a cosmetic gum lift is a quick and relatively painless proposition. Here’s how it works. After numbing your mouth with a local anesthetic your dental surgeon sculpts your gums, especially the area around your front teeth which is the most visible portion of your smile. In most cases, no stitches are required. Instead your dentist uses a soft-tissue laser to seal off the blood vessels, staunching any bleeding. After you leave the dentist, your mouth may be numb for a few hours until the anesthesia wears off. You may also experience swelling and mild discomfort for the next 24 to 40 hours. Your dental surgeon may prescribe medication, but in most cases an over-the-counter painkiller is sufficient. You can eat and drink within 24 hours after your surgery and gums typically heal completely within a week after being lifted. Recovery may take longer, however, if you underwent additional dental procedures at the same time as the tissue sculpting. To decide if this procedure is right for you, begin by looking online at before-and-after photos of people who’ve benefited from this procedure. Actress Jennifer Garner, who’s known for her dazzling and dimpled smile, had surgery to correct a smile that was once too gummy for those up-close shots on the silver screen. For examples of how a gum lift has transformed everyday people in your area, check out the periodontal section of the smile gallery on the Bridge Creek Dental website for inspiring before-and-after photos. If you like our results, it’s time to set up a consultation. You’ve got nothing to lose but some excess gum tissue and everything to gain, including a winning smile. Whether you need a gum lift or other dental services, contact us for an appointment. Our dentists are highly experienced and offer a range of dental care services to help you enjoy the best oral health. Dentist Digest Monthly: Is It Possible To Save A Dying Tooth? Often, a dying tooth is easy to recognize. Many times, a tooth will become discolored as the soft tissue and nerves inside the tooth die from infection. This discoloration is a clear sign, but often, the first warning sign of a dying tooth is jaw pain around the damaged tooth. Once your tooth has become infected and begins to die, you need immediate intervention. Here at Bridge Creek Dental, our dentists have helped save many dying teeth from becoming worse and are ready to help you. After a tooth has been infected, our dentist will usually perform a root canal to save the tooth from further damage. The root canal allows our dentists to reach the source of the infection, clean it out, then refill the area with dental composite to stave off any further infection. This procedure will allow you to retain the tooth. You will need to have the tooth crowned after the root canal, as the root canal procedure removes a significant amount of the enamel on the top of the tooth, leaving it vulnerable to bacteria. Some people delay coming into the dental clinic to take care of their dying tooth. It can be due to fear or a belief that homeopathic methods can cure the dying tooth. However, if the tooth is dying, it cannot be saved except by dental intervention. If you delay too long, several things can happen. You can develop bad breath as the infection remains. Without intervention, there is no way to rid yourself of the bad smell, as it will be continually be refreshed by the infected tooth. An abscess can form in your gums, which is a pocket of infection. Abscesses are incredibly painful, and in serious cases, can lead to death if the infection enters your bloodstream. The tooth can die entirely, leaving the tooth permanently discolored. A dead tooth is far more brittle than a healthy tooth, making dead teeth more like to chip and crack. There is potential for the infection which killed the tooth to spread to the teeth nearby the dead tooth, killing them as well. Whether you need a root canal or other dental services, contact us for an appointment. Our dentists are highly experienced and offer a range of dental care services to help you enjoy the best oral health. 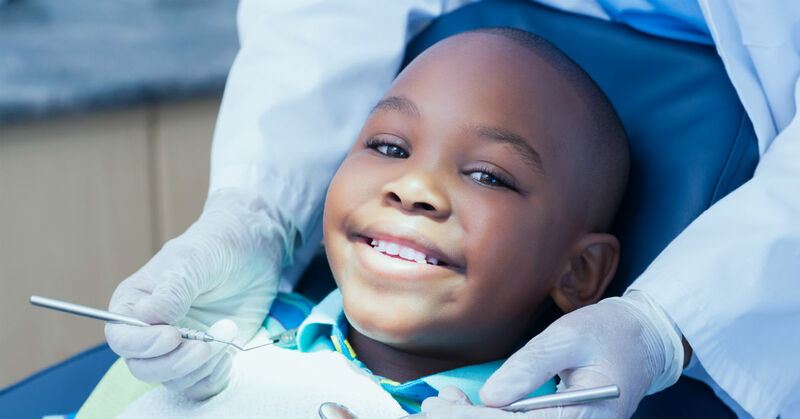 If your child struggles with anxiety surrounding dental visits, our staff at Bridge Creek Dental has several tips for you to help calm their fears. Don’t empathize with your child’s concerns. If your child knows that you are afraid of the dentist or have had bad experiences, it will only confirm their anxiety is valid. Avoid becoming openly frustrated with their discomfort. It can be hard, especially if your child is acting out, but negative emotions can reinforce a child’s anxiety around the dentist. When going in for preventative dental care, you will want to keep the explanation to your child age-appropriate. A five-year-old likely will not understand talk about bacteria and cavities. Instead, it can potentially add to a young child’s anxiety. Instead, stick to the basics such as the dentist will take pictures of their teeth then check to make sure the teeth are clean. If you have an older child around 10 years old, you can give a more scientifically correct explanation. Not too much detail is needed, but you can explain what the cleaning is for and how the X-ray machine allows the dentist to see below the surface to make sure everything is okay. More than anything, it is essential to bring your child to the dentist by the time their first tooth has cut. This practice will help acclimate your child to dental appointments and make them less intimidating. Have your child take a comfortable seat. Use a hand mirror and allow your child to look at their teeth as you pretend clean. Pretend to clean with their toothbrush. There no need to simulate the actual tools. Tell your child what you “the dentist” are looking for during the pretend checkup. With young children, you can simply tell them you are looking for clean teeth. Skip any pretend cavity filling or other potentially intimidating procedure. If your child does end up needing extra dental work, our dentists can help you explain the procedure. Dental anxiety is relatively common among children. Our dentists, as well as our dental clinic staff, are experienced in working with anxious children. If you contact us and let us know before your child’s visit, we can help them calm down when they come in for their appointment. Lifelong dental hygiene starts with helping children alleviate their anxiety around the dentist. Some people believe that cosmetic dentistry exists only for vanity dental procedures. But what these people don’t understand is that cosmetic dentistry can help correct serious issues like a malocclusion. A malocclusion is when the teeth are misaligned. This type of dental issue is relatively common, though with different levels of severity, and can create oral health issues. If you are ready to correct your bite issue, you may want to consider one of these cosmetic dentistry procedures as the solution to correct your misaligned bite. Having a misaligned bite can make smiling or even talking uncomfortable, particularly for those with pronounced overbites or open bites. 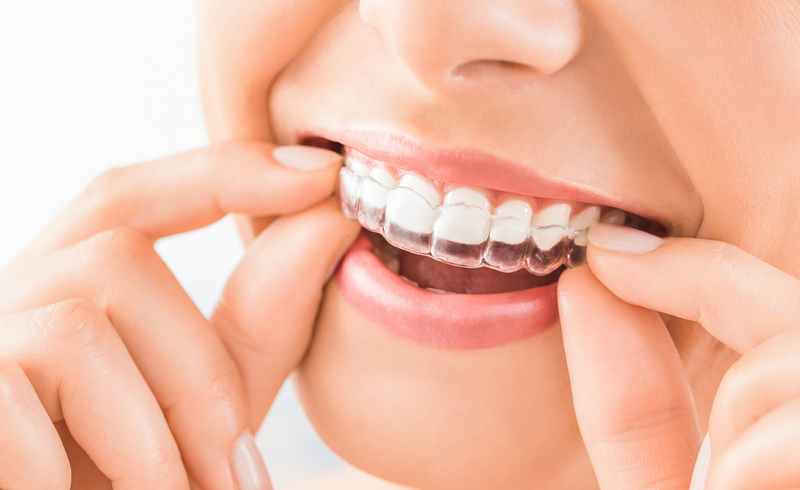 If you struggle with one of these types of bite issues, one way to easily boost your confidence and correct your bite is by choosing Invisalign Clear Orthodontics. Unlike traditional braces which are made of visible wires and bands, Invisalign is a clear set of braces shaped for your teeth. Over time, the Invisalign will shift your teeth into a straighter, aligned position so you can smile freely and confidently. 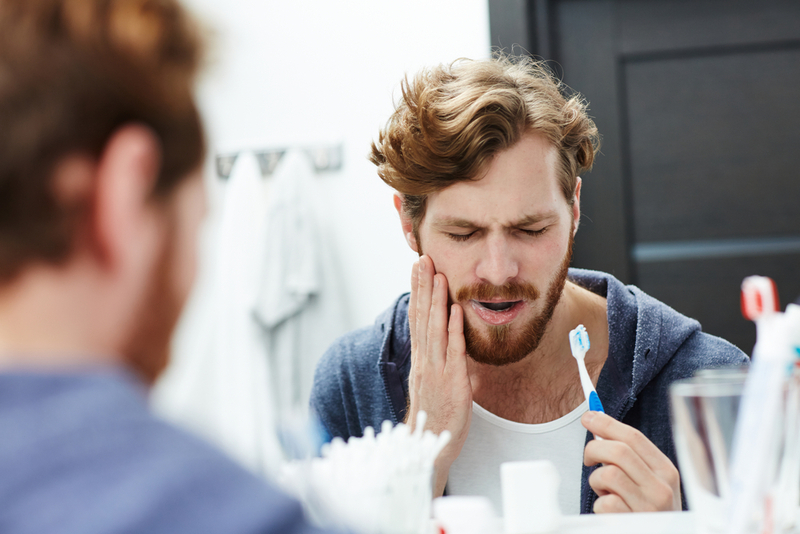 Sometimes bite issues can result in your teeth growing in incorrectly or smaller than the surrounding teeth. Teeth which are considerably smaller or incorrectly positioned are in greater danger of being worn down and potentially chipped as they are less supported by the surrounding teeth. A way to painlessly correct this problem is with veneers. Our cosmetic dentists will shape your misaligned teeth, making the teeth ready to have veneers placed. With a veneer over a misaligned tooth, the tooth with be better protected and present an even appearance with the rest of your teeth. It is even possible to correct bite this way, depending on the severity of the issue. There are several types of veneer materials available depending on your needs and preferences. All of them can be color-matched to the rest of your teeth. Often, those who suffer from misaligned bites tend to grind their teeth. Along with the jaw and dental pain teeth grinding creates, the teeth become worn down. This wearing effect leaves your teeth more vulnerable to cavities, chipping, and cracking. An effective way to protect teeth worn down by a misaligned bite is to have dental crowns placed. Our dentists recommend porcelain composite crowns, which are placed over the worn teeth. As these crowns are shaped to fit correctly with the rest of your teeth, it can both protect the worn down teeth and help ease your bite issues. When there is a bite misalignment like an overbite or underbite, often the overlapped teeth are a darker shade than the rest of the teeth. As food particles and saliva tend to become trapped in this area, it is a natural occurrence which can be difficult to prevent. The color contrast between the upper and lower teeth can make the bite misalignment more severe than it is in reality. A simple fix to correct the illusion is to have your teeth professionally whitened. Evenly white teeth can help boost your self-esteem as the even, whitened appearance reduces any noticeable bite issues. 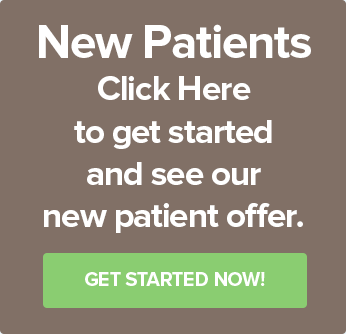 At Bridge Creek Dental, we offer all of these dental services and more. If you are ready to take control of your oral health and want the best dentists in Billings, Montana, contact us for an appointment. Here at Bridge Creek Dental, our dentists recommend that people come in for dental cleanings twice a year. We understand life can be busy and it can be difficult during the school year to ensure that your whole family makes it to the dental office for their biannual dental cleanings. Yet, summer is one of the perfect times to bring the whole family into the dental office for one of their dental cleanings. It can be easier to schedule dental appointments as a group during the summer. This group scheduling can ensure no one accidentally misses one of their biannual cleanings. Being available to go with your younger children can reassure them before their dental appointment. A good dental cleaning can start off the summer right as well as catch any problems which may have cropped up since your last dental cleaning. If problems are discovered during a summer dental checkup, summer is the perfect time to recover from a longer dental procedure. Before you go on your much-anticipated family vacation, it is important to ensure everyone in your family has made it into our dental office for their summer dental cleaning. Encountering a dental emergency during vacation can ruin the family vacation for the whole family. Also, if you or your family member need emergency dentistry, the intervention can be very expensive as your family vacation spot is likely outside your insurance network. 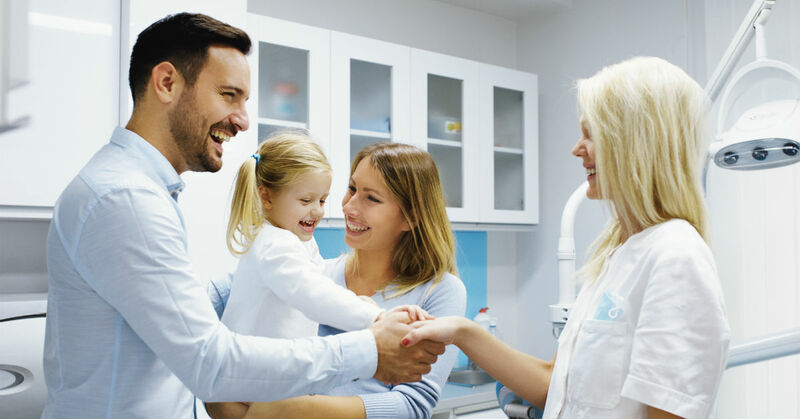 By ensuring that everyone in the family has a dental cleaning this summer before the family vacation, you can avoid most dental emergencies as our dentists will be able to identify potential dental problems before they become serious issues. Whether you are looking to have a dental cleaning, cavities filled, cosmetic dentistry or other dental services, you can have these things taken care of this summer at Bridge Creek Dental. Make the best use of the summer and contact us to set up an appointment for you and your whole family.